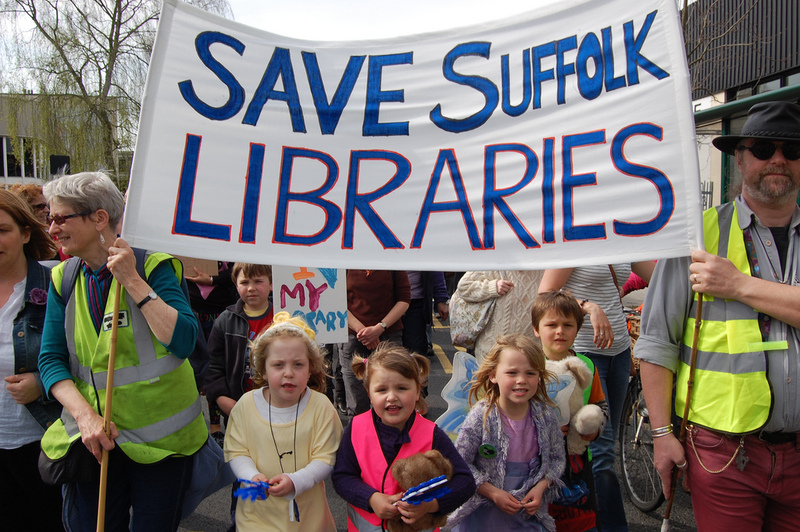 Tomorrow libraries are back on the agenda again at Suffolk County Council when the full county council debate the Cabinet proposals on the future of the county's libraries. The result is pretty much a foregone conclusion and the County Council are expected to rubber stamp the decision to set up an Industrial and Provident Society to run the County's libraries. 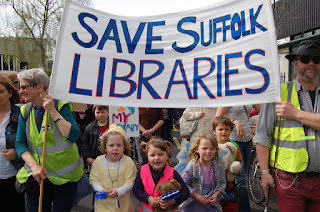 Whilst Rosehill Readers are delighted that all branch libraries in Suffolk are remaining open, we remain doubtful over the level of service that they will be able to offer, and wonder if Suffolk County Council appreciate that ‘books and buildings’ do not constitute a library service. SCC is asking its councillors to support a high risk business model for our library service. The Industrial and Provident Society model has never been used to run a library service before, with SCC admitting that there is a high risk of failure, saying that it will take the service back “in house” if the experiment fails. In addition, SCC says that library funding is guaranteed for 2 years only. We would like to know what happens after that and wonder whether the County Council is setting up the library service to fail. If SCC wanted it to survive, we think it would be recommending a safer, low risk business model such as the “in house” model. SCC seems to think that high risk is a good thing. Members of the public think otherwise. We would like to have a library service that is guaranteed for the next 10 -15 years, not a library service that survives for 2 years and then fails with some libraries being brought back “in house” and other libraries being forced to close. Rosehill Readers will be asking questions at the SCC meeting on 15/12/11 and will continue our campaign for a free, universal and accessible, high quality and professional, publicly owned and managed service for all of Suffolk’s individuals and communities. Call me a cynic but personally I see the libraries as safe until May 2013 - the next County Council elections. After that date I am less sure. “The model we’ve developed will put Suffolk’s library service on a strong and sustainable footing for the future. It’s fully costed on the basis of keeping the full library network open. “We want to free the library service from unnecessary council bureaucracy so that it can thrive and move with the times. Giving people a genuine say over how their library is run is also important and this model does exactly that. Not sure we have seen people having a "genuine say" over how things are run and indeed it appears that the initial Directors of the IPS will be chosen by the County Council rather than elected by local libraries. So libraries remain a concern and whilst we may not have seen the mass closures originally feared an already poorly funded service is being cut back yet more over the coming years - by some 30% - and this must mean the service will get worse.